Have you always felt that learning swimming at your current age would be tough and difficult? Think Again! It is better late than never to acquire the art of swimming. Swimming as a sport is both beneficial and relaxing. In this day and age, such a low impact sport is the ideal method for adult to keep fit and distress. 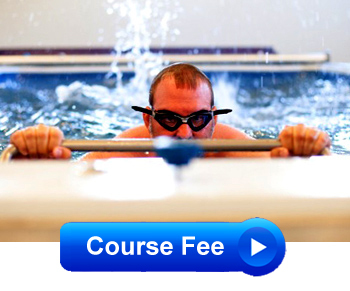 Adult Swimming Courses is great fun and is an outstanding way to get a full body workout. We organize numerous types of Swimming Classes For Adult, be it group lesson or private lesson. We welcome adults no matter what their proficiencies in swimming are. From the nervous beginner who has no swimming experience to the most advanced swimmer who wants to learn swimming or refine a particular swimming stroke. We believe that age should not be a barrier if you are willing to and have the desire and determination to learn swimming. Believe it or not, we even have students aged 60 years and above who are learning swimming with us! Age should not be a barrier to pursue your interest in learning how to swim.